Peen Plating is a method used to apply a thin film coating to a part to form a friction reducing surface. With the use of an air blast cabinet, a mixture of steel abrasive and a powdered lubricant that is sprayed at a pre-determined velocity against the part to make the bonding process more effective. 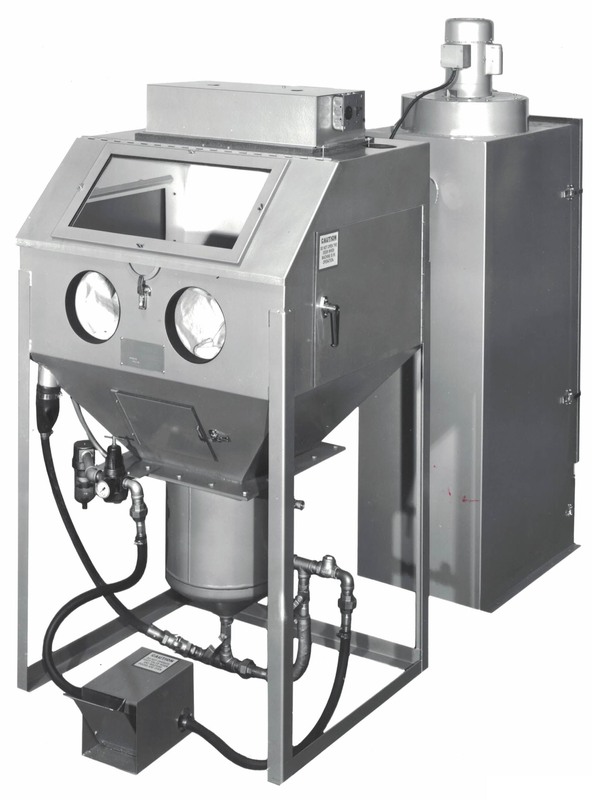 The 36x30/PC Pressure Blast Cabinet, shown here, can be used for this process of Peen Plating by using heavier steel shot abrasive versus lighter media. Side Door (2 ea) 17" x 16"
Front Door 36" x 13"
Shipping weight approx 855 lbs. TechniBlast's Home Page TechniBlast Inc.